The CombiTac connector system allows the individual combination of various contact types as electrical, fluid, pneumatic in a compact frame or housing. Used in a broad range of demanding applications in need of versatile, reliable and long life connections. Those include machinery, production line test equipment and electrical test equipment. 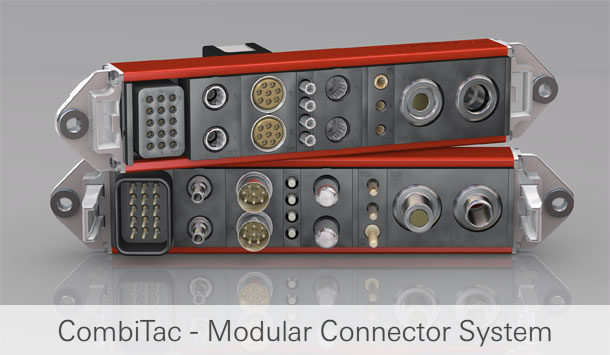 Various power, signal, data, fiber optic, pneumatic and fluid connections can all be combined in a single CombiTac modular system.